Before heading to the colourful and chaotic city of Rio de Janeiro, I discovered the order and structure of Brasília. This planned city in the geographic centre of Brazil was inaugurated as the capital in 1960. It was created as a symbol of national unity and is a designated UNESCO World Heritage site. This city unlike any other was designed in the shape of a plane. Eixo Monumental (the Monumental Axis), home to the federal and civic buildings, is the plane’s body. Eixo Rodoviário (the Highway Axis) creates its wings - Aza Sul (the south wing) and Aza Norte (the north wing). Within the wings are different blocks, perfectly numbered with distinct zones for shopping, business and residential areas. It was President Juscelino Kubitschek who made the century-old dream of Brasília a reality, as part of his campaign to modernise the country. He collaborated with architect Oscar Niemeyer, urban planner Lúcio Costa and landscape architect Burle Marx to bring the city to life on the flat, dry plains of Brazil’s Central Highlands, in an area which soon became known as the Federal District. Right in the centre of Eixo Monumental, at the heart of both the city and the entire nation, stand the two semi-spheres and twin towers. It is from here that Brazil is governed. A trip to the capital just wouldn't be complete without stopping by. 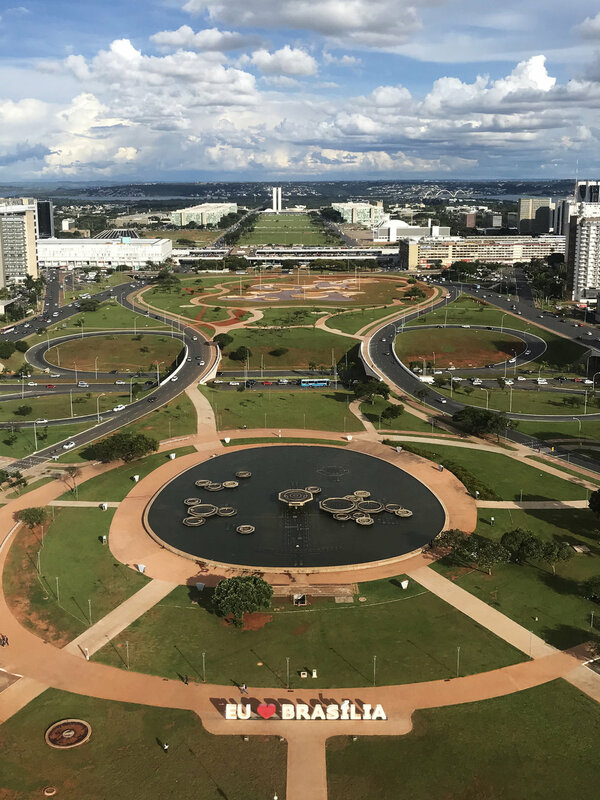 Right in the heart of Brasília (or in the cockpit of the city's plane-like design) is “Three Powers Plaza”, which gets its name from the branches of government that surround it. There is the Executive power (represented by the president's office, Palácio do Planalto), the Legislative power (represented by Congresso Nacional) and the Judiciary (represented by the Supremo Tribunal Federal). It was designed by Oscar Niemeyer and Lúcio Costa as a place where these powers could come together in harmony. 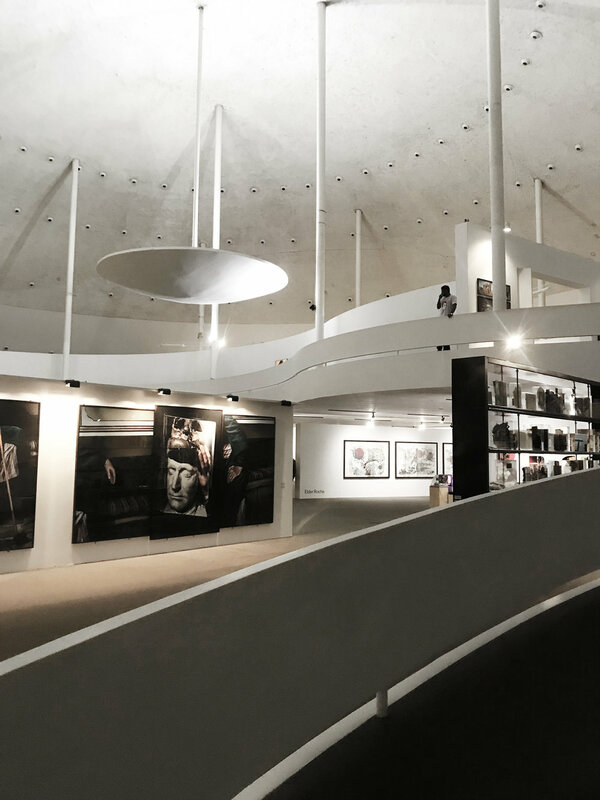 Below the ground of Praça dos Três Poderes is a museum, designed by Oscar Niemeyer, which pays tribute to one of the city’s creators. Here you’ll find an architectural model of the city and numerous drawings of the famous pilot plan. With 16 rib-shaped concrete columns pointing towards the heavens, artistic details and a light and airy atmosphere, this Niemeyer-designed cathedral is a fabulous example of the modern architecture that Brasília is famous for. Completed in 1970, this stunning church, features sculptures by Ceschiatti, a famous Brazilian artist. These are the aluminium angels, which float below the beautiful blue-hue stained-glass ceiling and the ‘Four Disciples’ statues, which guard the entrance. This Saturn-resembling half-sphere museum, designed by Oscar Niemeyer, accommodates travelling exhibits from Brazilian and foreign artists. With curved walls and spiralling ramps - the building itself is art too! Built by Niemeyer in 1980, this museum preserves the legacy of the city’s founder. The memorial is topped with a curious sickle-shaped sculpture, which many people believe represented Niemeyer's own communist-sympathising political beliefs as opposed to the beliefs of Juscelino Kubitschek. Step inside and you’ll find personal objects belonging to JK and photos of him and his wife, Sarah, that tell the story of how Brasília came to be. There's even a burial chamber where his remains lie beneath the most beautiful red stained-glass roof. These refreshing freshwater pools, found within Parque Nacional de Brasília (Brasília National Park) are pure bliss on a summer’s day! Around the pools are many walking tracks, which give you a glimpse of the natural savannah environment the city is built on. You’ll encounter some of the local birds and wildlife - perhaps even some cheeky little monkeys. I’d say they’re pretty cute but my friends in Brasília know how naughty they can be! From the 75 metre high viewing platform of this television tower in the centre of the Eixo Monumental (Monumental Axis), you can get a bird’s-eye view of the layout of the of the city. 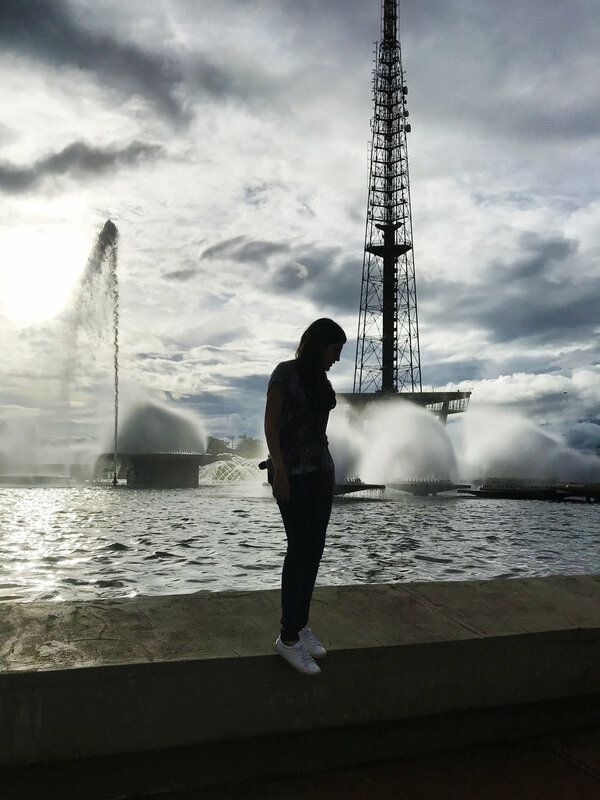 Located in the SMU (Setor Militar Urbano), across the road from the impressive Army HQ building, you’ll find this peaceful little park. This grassy space, lined with lavender, features a little pond with concrete stepping stones and giant crystal sculptures in the middle of it. 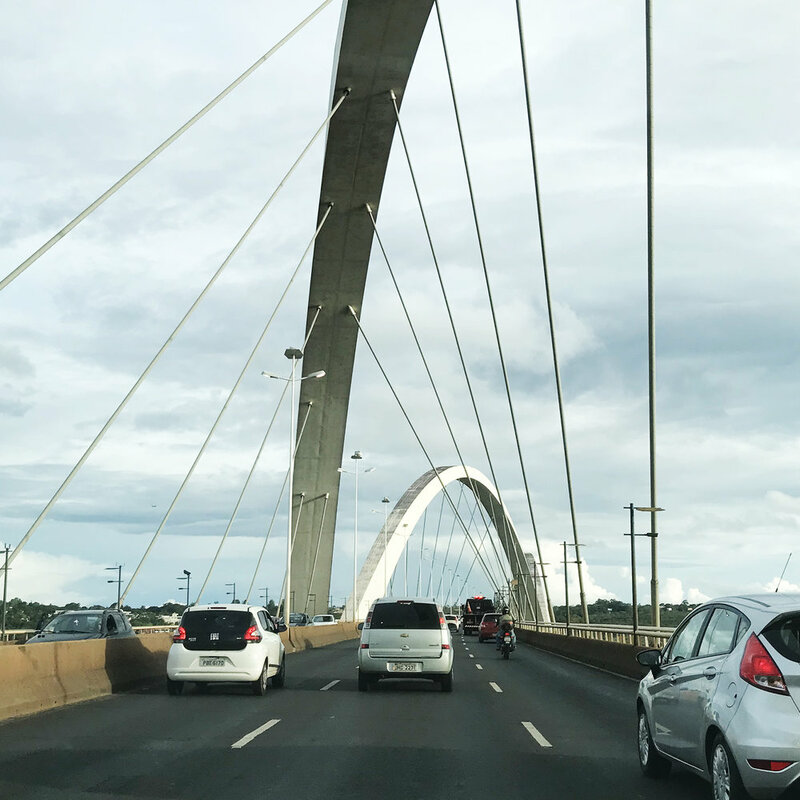 Opened in 2002, this bridge with three crisscrossing arches became an instant icon of the city. It crosses Lake Paranoá, connecting the eastern shore to the city centre. One of my most magical experiences in Brasília was hiring a stand-up paddleboard from the gates of the Clube Naval and paddling under the bridge in the middle of a thunderstorm. This is Brasília’s oldest pizzeria, in fact, it ’s basically as old as the city itself. When I visited this local favourite, Mariana advised me that the best way to experience Pizzas Dom Bosco was to order two slices and, put them together face-to-face and eat them like a sandwich. The pizza was delicious, and I washed it down with some mate tea. This small but stunning Niemeyer-designed Catholic church in Asa Sul was built in the time of JK’s government. 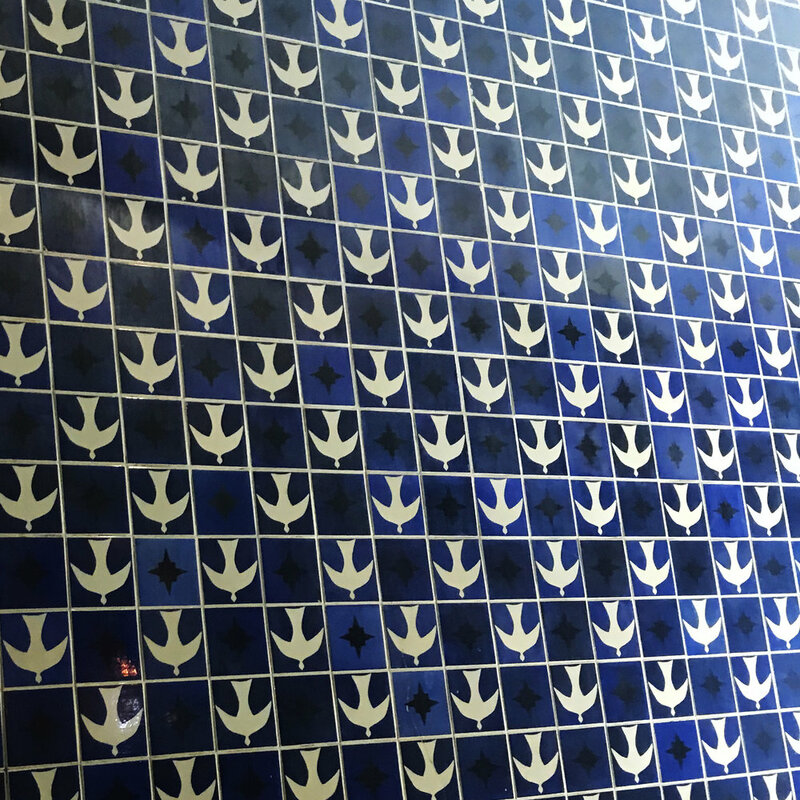 The church’s beautiful blue pidgin covered tiles were created by Brazilian artist Athos Bulcão.